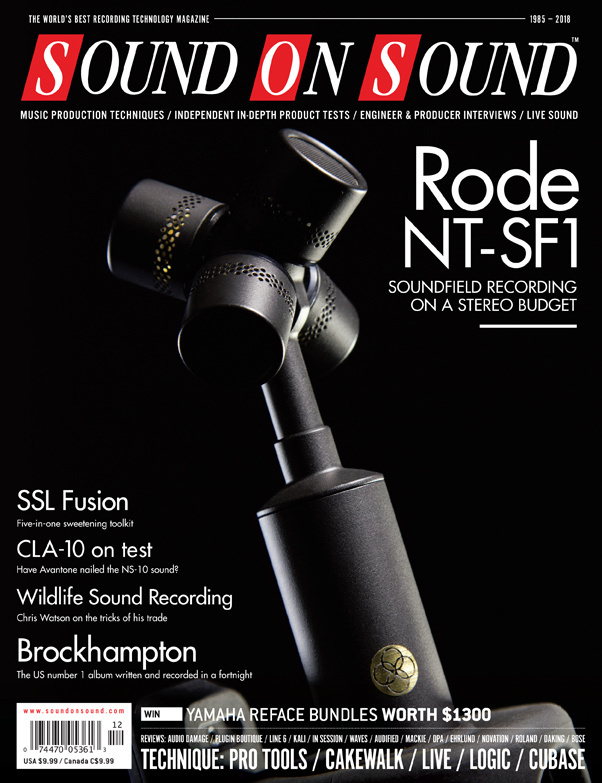 Reviews: Rode NT-SF1 (Cover), Solid State Logic Fusion, Novation SL MkIII, Avantone CLA-10, Line 6 Variax Standard, Kali Audio LP-6, Bose S1 Pro, Erica Synths Drum Module, Roland TM-6 Pro. Techniques: Chris Watson: The Art Of Location Recording, Classic Tracks: Cypress Hill, Inside Track: Brockhampton, Piper Payne: Mastering Engineer, Recording A Live Video Performance. Roland’s TM-6 Pro module could be the perfect way to combine electronic and acoustic drums. Media content for the December 2018 issue.